French: Martin-chasseur strié; German: Streifenliest; Spanish: Alción Estriado. 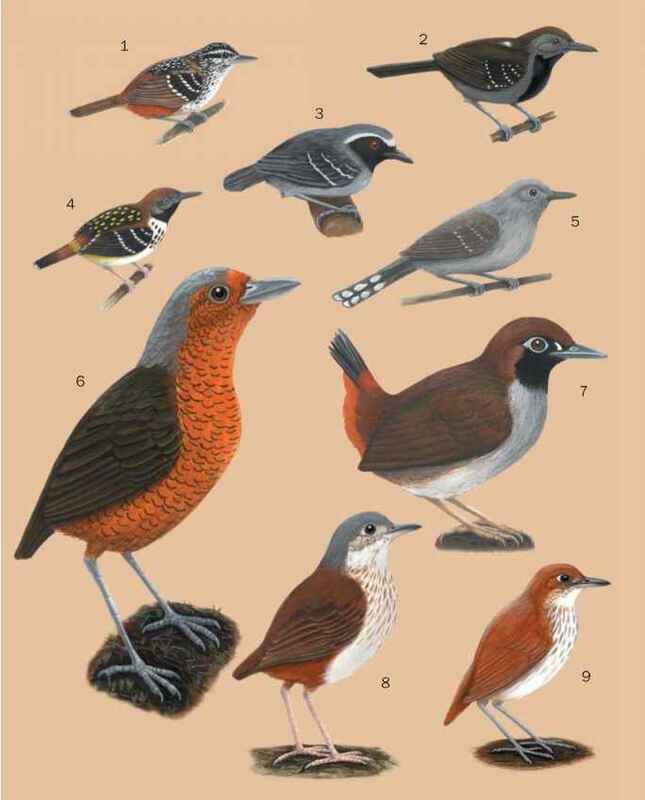 dark brown streaks on crown and flanks, blue-green back, rump, and flight feathers. Black mask, bill black above and red below, feet red. Wide tolerance, from clearings in forest to riverine trees within scrublands. Extends into most arid habitats, along with red-backed kingfisher (Todiramphus pyrrhopygius) of Australia, which also has a striped crown. Perches 6.5-13 ft (2-4 m) up, usually on dry twigs on lookout for food. Often perches higher when territorial calling, a high disyllabic trill repeated up to 10 times, often a pair in duet. Calls accompanied by alternate flashing of blue and white patterns on upper and underside of wings, while swiveling back and forth on perch with tail cocked. Feeds mainly on insects, especially grasshoppers, beetles and larvae, but will eat wide range of small invertebrates and a few vertebrates. Takes most prey on the ground, sometimes in the air, with 80% capture success. Monogamous pair nests in old hole excavated by barbet or woodpecker, less often in natural cavity or old swallow nest. Often assisted by a second male. Lays two to six eggs, duration of nesting cycle unrecorded, sometimes double-brooded. Not threatened. 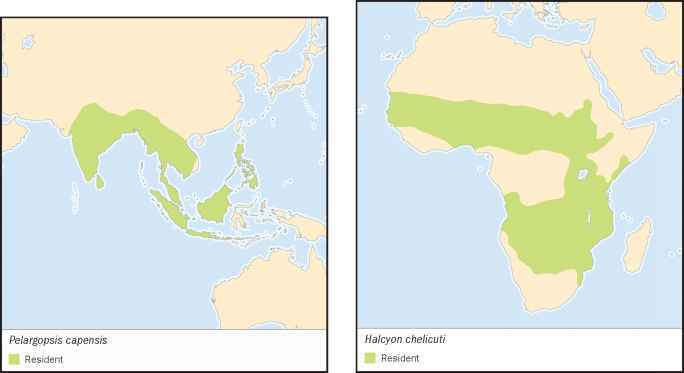 Common across wide range of extensive habitats, including in many large reserves and in areas of shifting cultivation.